At The Spice Is Right, our philosophy is simple… we want you to cook the best curry you can. 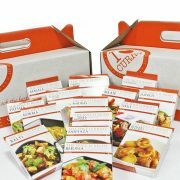 We have carefully created curry kits which mirror curries you are accustomed to in various restaurants. 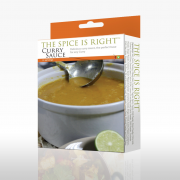 Each curry kit is specifically blended with the correct amount of spices to produce a truly authentic taste. What is a Curry Kit? 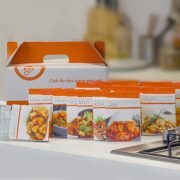 A ‘Curry Kit’ is all spices you need to prepare a restaurant standard curry in the comfort of your own home. 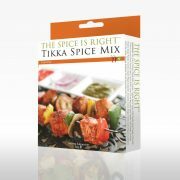 We have eliminated all the guess work and created a range of perfectly blended spices which produce excellent dishes every time. 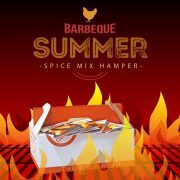 A Combination of over twenty herbs and spices go into each curry kit, all of these are freshly ground and packed in foil at the height of their aroma ensuring you get the ‘freshest’ possible ingredients. All of our recipes are extremely simple to follow with step by step instructions and photographs. All of our range is specifically designed to be cooked at home using standard kitchen appliances and utensils. For example, even a Naan bread can be perfectly cooked under a standard grill. Your choice of meat/vegetables and our expertise will empower you to create ‘your favourite curry’ every time. 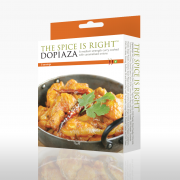 All of our Curry Kits are suitable for vegetarians. 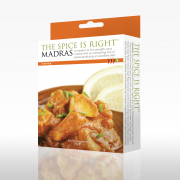 There are many benefits of using our curry kits – not only will you save a fortune on restaurant bills, but more significantly you will be in control, your choice of quality meat, your choice of fresh ingredients. Furthermore we are so confident with our entire range, if you are not satisfied, we offer a full ‘no quibbles money back guarantee’. We are a specialist food company based in Huddersfield with over 25 years experience in the Indian food industry. We operate from professional premises where we blend and pack our products. We use only the finest ingredients which we either source locally or import directly. All of our products are foil packed the same day they are blended ensuring their optimum freshness. 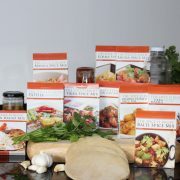 We started selling Curry Kits online in 2005 and we were immediately overwhelmed by the response. We boast a repeat order rate of over 75%, which is a testament to our products. We offer an excellent customer service, if you are not getting the desired results we will happily offer advice by either email or over the phone. Our whole product range will be available to buy in your local shops very soon. In the interim why not take advantage of our postage offer, we will deliver anywhere in the UK for £2.50. This standard charge excludes hampers, which is £5.50. There maybe an additional charge for Hampers sent to the following postal codes AB, IV, KW, PA, PH, HS, ZE and IM. We pack and post 99% of our orders on the same day ensuring you order one day and receive the next day. We happily dispatch our products all over the world, please click on the postage costs button for exact postal charges or contact us if you require any further information.